The Treasure Group at The Customs House has had some fantastic news to kick of 2019. The Customs House has been awarded nearly £10,000 of National Lottery from the Big Lottery Fund. This funding is to run three term-time creative projects with Looked After Children. They will work alongside professional artists and also visit arts events like theatre performances. Children taking part will also have the chance to achieve a nationally recognised qualification Arts Award. Elizabeth Kane Learning Officer met with Linda Yeo before Christmas. Linda is a Funding Officer from the Big Lottery Fund. Together they talked about the work of The Treasure Group. The Treasure Group is the name for creative projects at The Customs House ran for Looked After Children (Children who are fostered or have experience living in care). The Customs House has ran projects for Looked After Children since 2010. Originally this work was part of a national pilot with Arts Council England and was supported by South Tyneside Council Fostering Services and The PLACE (The Project for Looked After Children’s Education). Work with Looked After Children continued thanks to various trusts, foundations and other supported. Linda advised The Customs House apply for a National Lottery Awards for All which awards grants of up to £10,000 from money raised by players of the National Lottery. 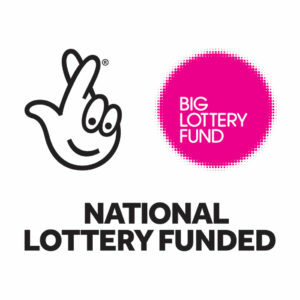 For more info see https://www.biglotteryfund.org.uk/funding/programmes/national-lottery-awards-for-all-england. The funding decision came through last week. “I was so happy we were successful! Writing the bid we talked about how this project will really develop Looked After Children’s confidence and self-belief. They, like all young people, can make great work and achieve great things. Elizabeth will be working closely with Sarah Hamblin Senior Practitioner at The PLACE sharing information about the project with children and their carers. “It’s fantastic. The Big Lottery Fund has given us an incredible opportunity to work with children over a year and make a positive difference to them as individuals and our community. I want to say thanks to National Lottery players every time you buy a National Lottery ticket, you help make this happen. This year long programme will start in March. ‘Custom Book’ Exploring local heritage through photography with Nicola Maxwell The Heritage Lottery Fund (HLF).